When I graduated from the John Marshall Law School in 1979, I purchased a class ring. 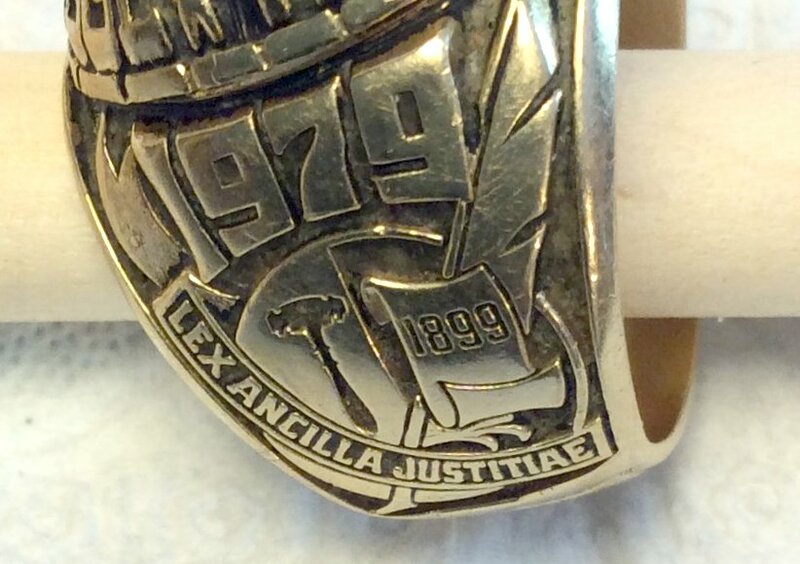 I still have that ring and frequently think about the Latin inscription on the ring “Lex Ancillary Justitiae.” Roughly translated the inscription means that the law is subordinate to justice. I have often pondered how odd it is for this statement to be on the class ring of an institution dedicated to teaching the law to future officers of the court. Attorneys all swear an oath to obey and promote the letter of the law. Yet, a law school is clearly telling its students something else in its motto. A just result, according to the John Marshall Law School founders, matters more than a resolution which follows the law but which is perceived to be biased or the result of unfair influence. Sadly, the history of the United States provides many examples of instances where social order broke down because the “administration of justice” failed because of perceptions of unjust influence, cronyism, or inefficiency of the Criminal justice system. In some cases, these instances resulted in mayhem, mobs, and vigilantes. For example, in the 1850’s San Francisco, many in the town concluded that law enforcement was simply not capable of bringing law and order to the chaos of the Gold Rush. Committees of Vigilance, who arrested, tried, and hung many perceived miscreants, were twice formed. 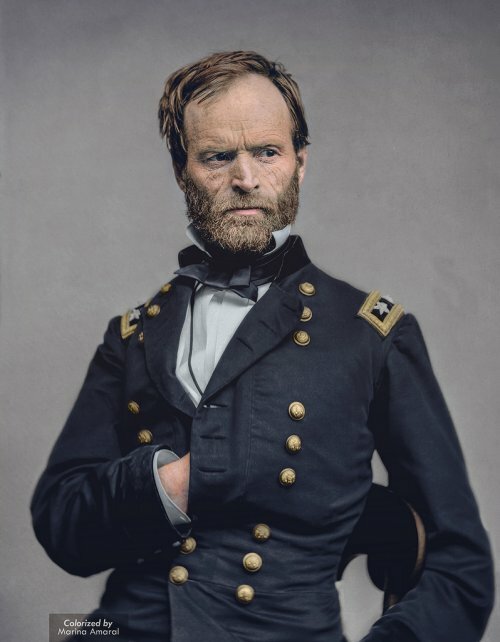 The leader of one of these committees was none other than William Tecumseh Sherman, later of Civil War fame. Later, in the late 1870’s, Lincoln County, New Mexico was under the firm legal and economic control of the Sante Fe ring. When a business rival, John Tunstall, tried to compete with the ring for commercial and political influence, Tunstall wound up dead of unnatural causes. At the same time, the people saw no attempt to make an arrest. Angered by this miscarriage of justice, “The Regulators,” led by the famous outlaw Billy the Kid, killed the sheriff and other Lincoln citizens. The situation became so chaotic that the Army had to be called. And martial law declared by the governor. In the 1880’s in Johnson County, Wyoming, tensions between homesteaders and ranchers escalated. Criminal trials for rustling, overseen by juries of homesteaders inevitably came back with “not guilty” verdicts. Frustrated, the ranching groups formed vigilante posses which began hanging or shooting suspected rustlers. As in the Lincoln County War, the Army had to be brought into Johnson County to restore order. The fabric of social order is fragile and easily torn. Order is based on the confidence and belief of the people that justice will be fairly and evenly dispensed. History tells us that when significant segments of society believe this is not happening, they will take their own action. Perhaps the inscription on my law school class ring is correct. Perhaps Justice must be the ultimate goal and the law is simply the means to that end. This entry was posted on January 15, 2019 at 8:00 pm and is filed under GunNews. You can follow any responses to this entry through the RSS 2.0 feed. The phrase, " The wheels of justice grind exceedingly slow but exceedingly fine", is one that has stuck in my mind since law school. I hope this holds true with the current batch of high level felons recently and/or currently in the FBI and DOJ, in addition to the numerous felon's of the past Obama administration. Probably will never happen, but wouldn't it be sweat to see at least some of these people be prosecuted? The criminals of the Obama DOJ, FBI, CIA, IRS (and who knows what other agencies Obama's Leninism affected) need to be brought to justice. Nominee AG Barr told Graham he intends to investigate these matters. I certainly hope so. The FBI and Intel's attempt at a slow motion coup de tat of a duly elected president seems rather reminiscent of the Watergate burglary with apparent evidence. I think you can even spot some mens rea with many of these characters and players.